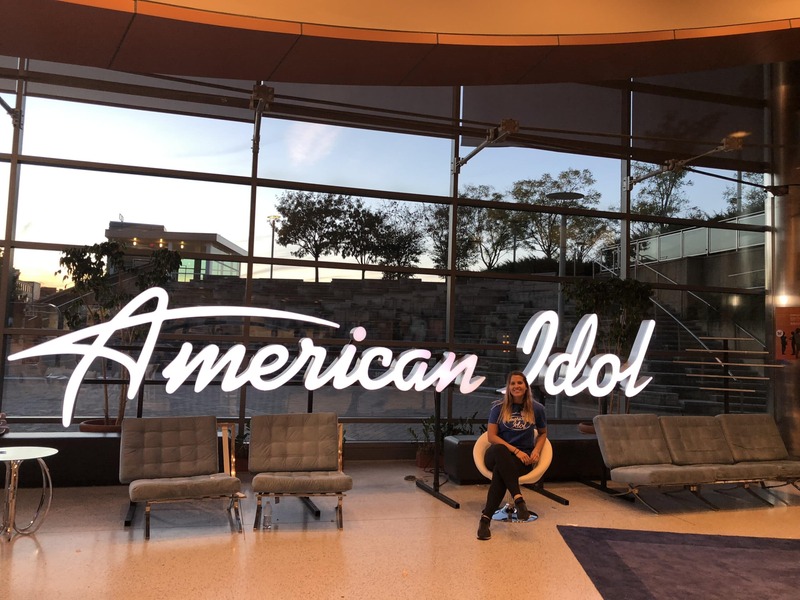 It was 6:00 a.m. and I was sipping my coffee, preparing my body and mind for my first 12-hour work shift as a production assistant for American Idol auditions taking place in the Muhammad Ali Center. The city was still sleeping, but it was a day for the contestants to shine in front Katy Perry, Luke Bryan and Lionel Richie. I wasn’t even performing but there was still a tight, nervous feeling making knots in my stomach. The thought alone of being around so many high status people was nerve-racking. Walking up the stairs there was a tall, slim security guard standing outside. He was wearing a long, heavy coat, with an American Idol badge. There was a look on his face like he was just waiting for a chaotic day. He guided me in the right direction and a woman gave me a walkie-talkie, a blue t-shirt that said “American Idol” on the front and “Idol” on the back, a nametag with my name and “Golden Tickets” on it. Once I was in my work outfit, along with the 50 other volunteers, I felt like I actually belonged. As a production assistant, I expected to be busy running coffee errands, but that wasn’t the case. On the first day I was on the 6th floor of the Muhammad Ali Center, where the judging room was overlooking the beautiful Ohio River. The room was packed with the camera crew, three empty chairs (one each for Perry, Bryan and Richie), and a sticker in the center of the room where the contestants would soon stand. The producer looked at me and asked, “Can you please stand on the sticker?” Taken off guard, I told him I would, but that I couldn’t sing. They laughed and assured me that it was okay. I stood there, in the middle of the room, for 45-minutes while the camera crew worked to figure out a good angle for lighting and a good spot for the piano that was behind me. Later that day, all I did was hang out and watch people. I felt useless and was dreading the next 12-hour shift. On day two, it was very different. I got there at 6:30 a.m., and the first thing they had me do was walk to Dunkin’ Donuts. I ordered twelve dozen donuts and all the bagels they had – typical production assistant errands. As soon as I got back to the Muhammad Ali Center, I was assigned to the registration area, where all the contestants patiently waited with family and friends for their time to shine. My job for the day was taking contestants to their designated rooms. Even though I didn’t do as much as I thought I’d do, I am so grateful for such an experience. I met some important people who travel and do production work for a living, got an inside scoop on how days of production work and have a memory that will last forever.